Test your Orchid IQ—how do orchid roots work? The first time you walk under a big, lush tangle of orchid roots at the Orchid Show can be quite disconcerting—what are those big white things dangling in the air, you wonder, and how do they work? Let’s look at those roots from a different angle, so that the next time you walk under them, you’ll know more about what you’re seeing. Most orchids are epiphytes. An epiphyte is a plant that grows on another plant (not in soil), but is not parasitic. Of the 27,000-plus species of orchids on the planet, about 70 percent are epiphytes—plants that grow on trees, with above-ground rather than in-ground roots. Known as aerial roots, they act as anchors and supports as they wrap around branches and trunks, stabilizing the plant as it grows. Roots are an orchid’s lifeline, absorbing water and nutrients from the air and from the leaf litter in the tree niche it inhabits. That is, an orchid’s roots can grow along the stem of the plant, not just out of the bottom of it. The advantage of being adventitious? Plants can be propagated easily. Many orchids grow baby plantlets, called keikis, that can be removed from the mother plant along with their own set of adventitious roots. 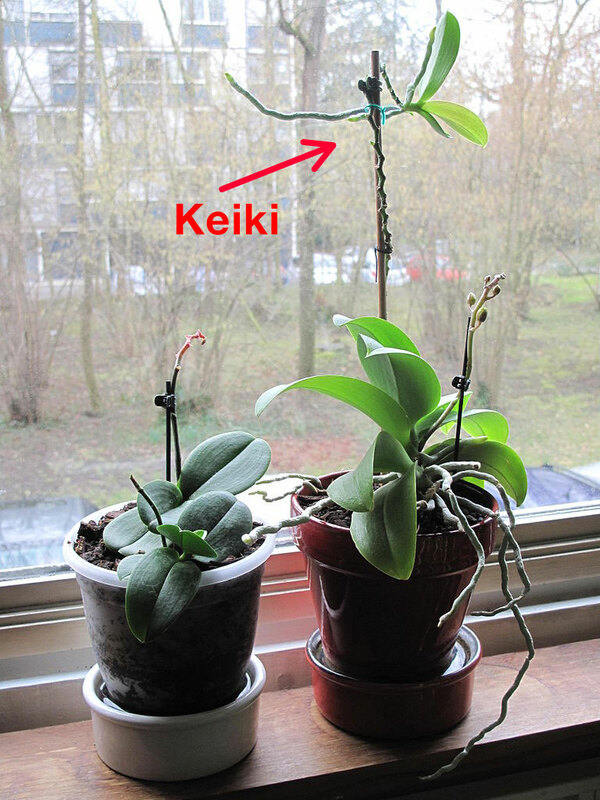 The keiki growing at the top of this Phalaenopsis floral stem has grown large enough to be transplanted. 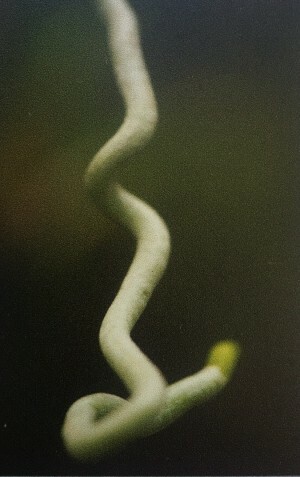 An aerial root should look fleshy and green; the white coating that covers it is called the velamen. Thin and rather papery, but spongy and protective, it’s a one-way water barrier that allows moisture to soak in—and keeps it from oozing out. Whitish velamen covers the orchid’s roots. If the velamen appears dried or rotted, it should be stripped off up to where it’s healthy and white, leaving the wiry inner root to help stabilize the plant once it’s in the pot. At the Orchid Show, you get to see lush, healthy roots close up. At home, your orchid’s roots will usually be contained in its pot. Roots growing out of and over the edge of a pot signal that it’s time for re-potting—which gives you the opportunity to examine your plant for overall root health. Plump, green roots look and are healthy; yellow, spotted, black, or dried out roots indicate that it’s time to re-think how you’re caring for your orchid. Learn more about repotting Phalaenopsis and other orchids in our blog. 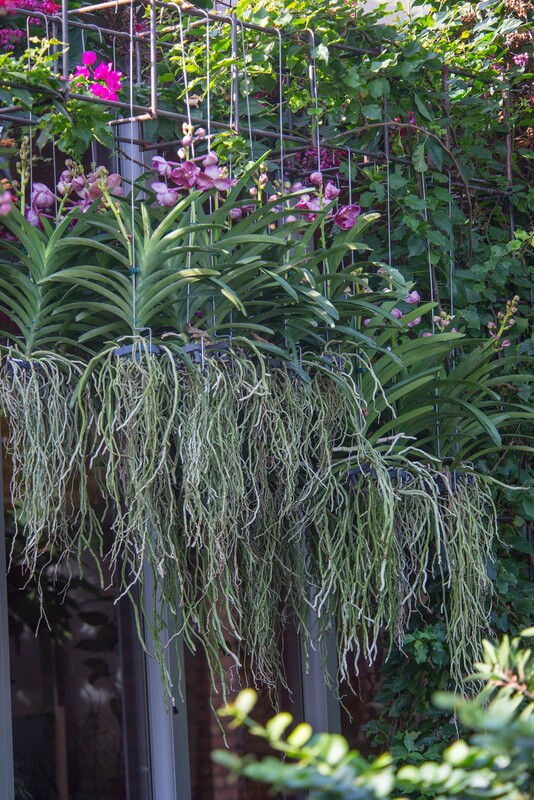 Overwatering is the number one threat to an orchid plant. Orchid roots rot easily if given too much water—with no switch to prevent roots from pulling in excess water, the plant can drown if left standing in a full saucer. That’s one reason why orchid pots typically have extra drainage holes. To correctly water an orchid, remove the pot from its saucer to the sink. Run water gently but thoroughly through the plant for a minute or two. Then allow the plant to drain completely before returning it to its saucer; repeat weekly. Orchid roots are awesome! 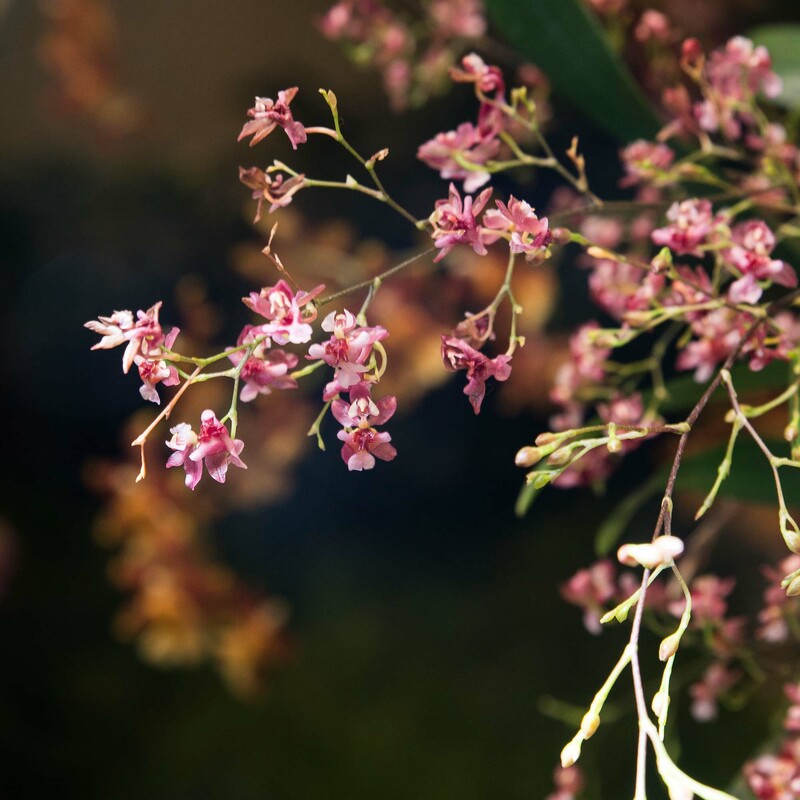 Come see for yourself at the Orchid Show, running through March 13, 2016. Posted on February 25, 2016 February 29, 2016 Author Karen Z.Categories Programs and Events, The Orchid ShowTags orchid roots, orchids, repotting orchids, The Orchid ShowLeave a comment on Test your Orchid IQ—how do orchid roots work?